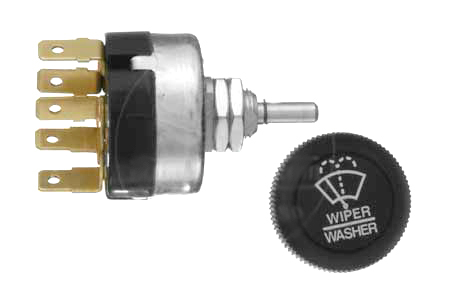 Brand new wiper switch for Scout II. Two speed switch, push to wash, internal circuit breaker. Scout II, Scout 800 Wiper Switch New Old Stock.